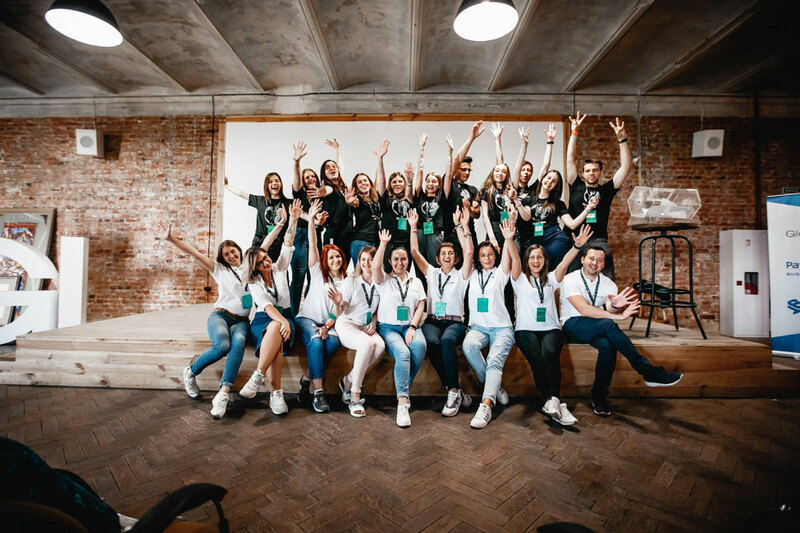 On June 10, GlobalLogic Ukraine held its GlobalLogic Kharkiv Java Conference 2018 in the biggest creative hub in Kharkiv, Fabrika.Space! 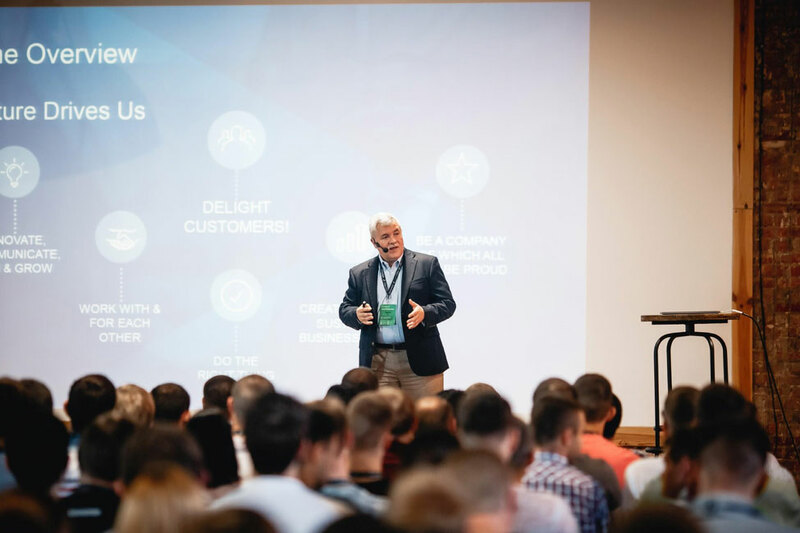 GlobalLogic experts and industry specialists such as Jim Starrett (VP, Enterprise Program Management) and John Sol (Enterprise Architect) from Bottomline Technologies shared their experiences, practical advice, and even life hacks to nearly 250 Java engineers. 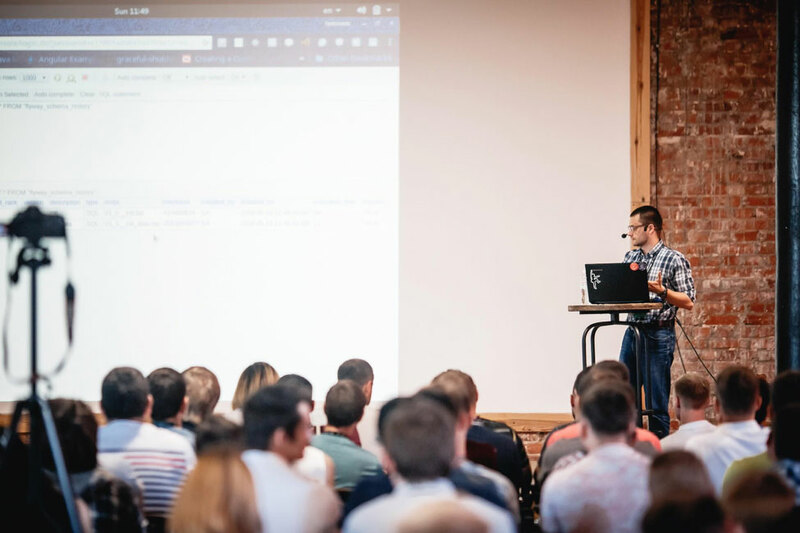 Presentations covered a broad range of modern Java topics, such as using SpringBoot for quick start and internal project development, AWS Lambda for boosting productivity, Docker for development process optimization, and Spring Global Lock for other unique situations. Participants had a chance to delve into Java 9 modularity, discover migration secrets, and learn about jlink usage, ElasticSearch and language analyzers. Our experts also discussed the journey to adopting a JEE monolith and its refactoring to microservices, as well as how to successfully leverage Agile in a distributed or scaled environment. You can watch an overview video of the conference here or continue reading for a deeper dive into the event’s presentations. 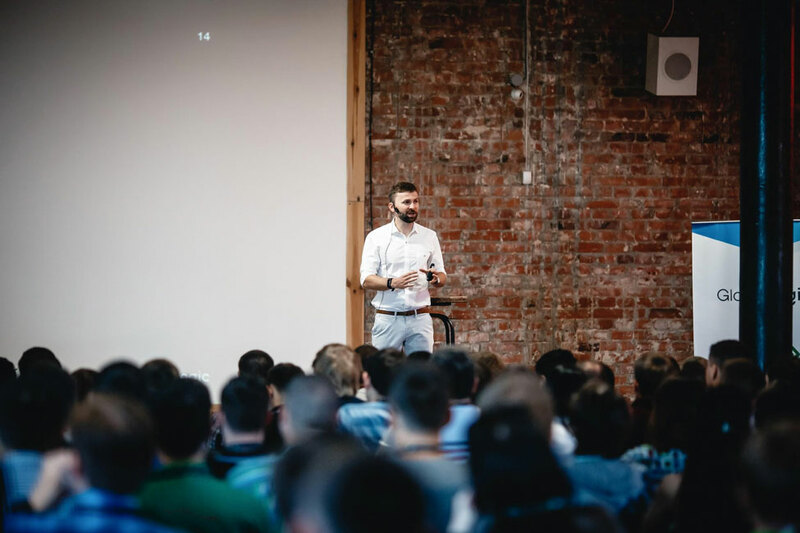 The conference opened with a presentation by Mykhailo Brodskyi (Lead Software Engineer, GlobalLogic), who has 6+ years experience working on information systems design, development, and implementation. Presently, Mykhailo leads a network security project and is focused on improving development process efficiency with the help of virtualization, architecture development and analysis, and software functionality implementation. 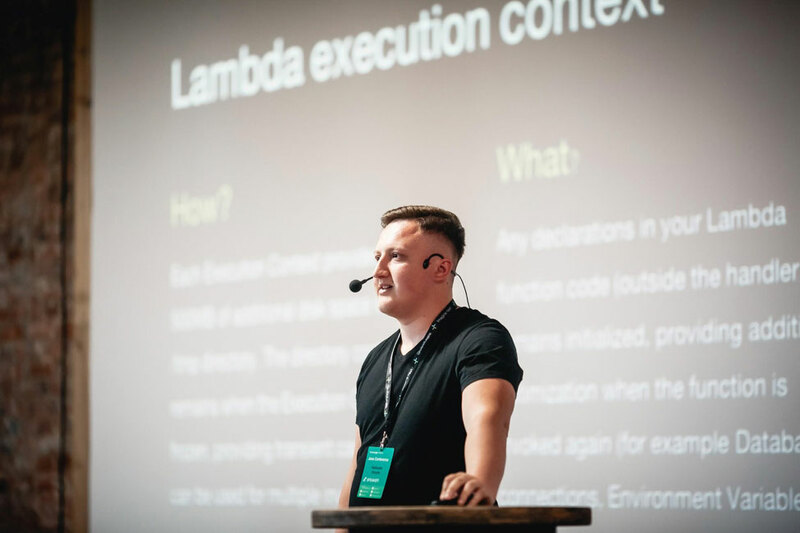 During his presentation, Mykhailo talked about the building principles of modern development processes, suggested ways to improve these processes, and demonstrated the benefits of using virtualization and REST APIs. Jim Starrett (VP, Enterprise Program Management, Bottomline), traveled from the US especially for the conference. Jim led Bottomline’s Agile transformation five years ago, and he currently leads a team that is responsible for training, coaching, and measuring Agile maturity for over 60 teams in multiple locations across the globe. In his presentation, Jim outlined the key elements needed to build a solid foundation for Agile to succeed. 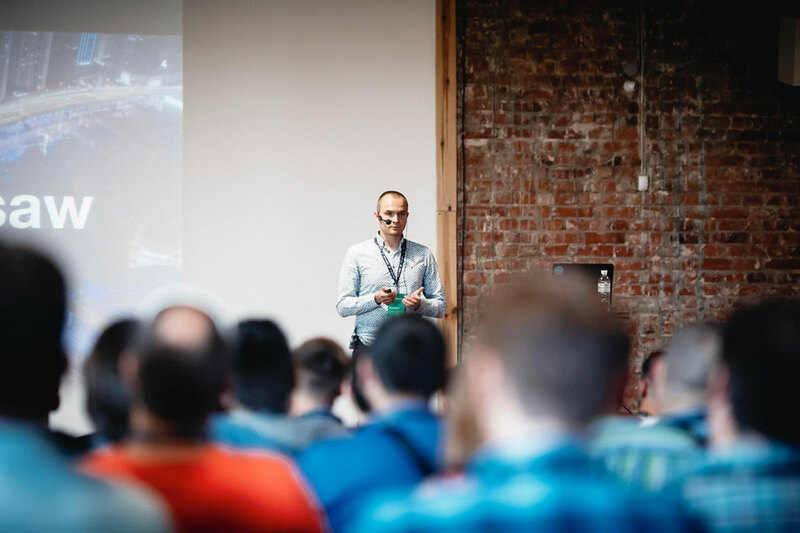 He went over the challenges and opportunities of a distributed and scaled Agile organization, and he explained how Bottomline measures its Agile Maturity at the team, product, and enterprise levels. John Sol (Enterprise Architect, Bottomline Technologies) also traveled to the conference from the US. At Bottomline, John supports the Paymode-X LOB and is responsible for enterprise technology strategy and standards, architectural design patterns, and process improvement. 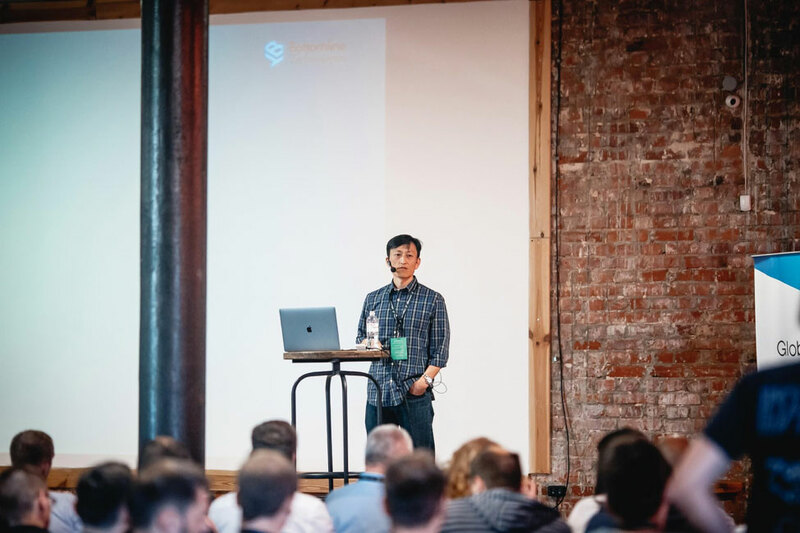 At the conference, John described the journey of taking a monolithic JEE application and refactoring it into microservices from the perspective of developers, QA testers, production support, and the hosting and operations teams. Maksym Voroniy (Engineer, GlobalLogic) is a tech generalist who works on several cloud platforms. He is particularly interested in distributed systems development and AI, and periodically he reads a course on modern software architecture to help senior developers become architects. 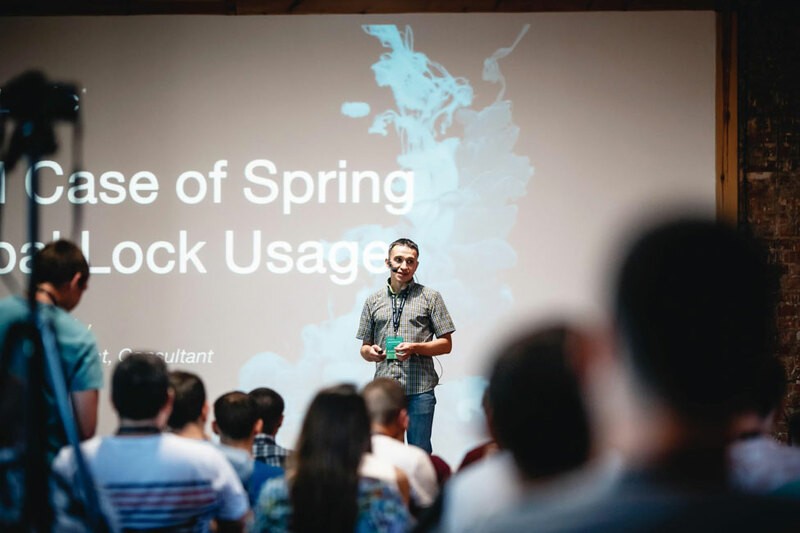 To demonstrate the benefits of using Spring Global Lock from a Spring Cloud project, Maksym presented a case study around developing a web-based book store with an online payment gateway. Vladyslav Soboliev (Senior Software Engineer, GlobalLogic) specializes in developing and maintaining back-end services on Java. He has a hands-on experience with Spring Framework, Hazelcast, jUnit, Docker, Hibernate, and Java FX. He is currently working a project on the Spring framework using AWS Elasticsearch for a world-renowned developer of cutting-edge technology products, systems, and services for the construction industry. 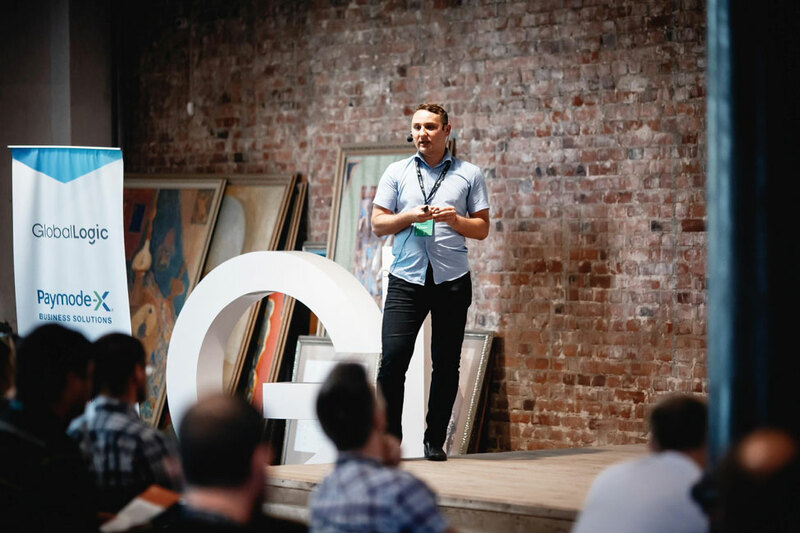 During his presentation, Vlad provided a detailed overview of the Elasticsearch search system, gave an insight into offline search tools, and suggested how to fine-tune Elasticsearch depending on specific goals. The conference’s closing presentation was made by Oleh Krupenia (Senior Software Engineer, GlobalLogic). With over 7 years of programming experience in Java, Oleh is especially interested in functional programming and Big Data. Oleh gave an overview of Project Jigsaw, explained the benefits of modularity, talked about module-info.java contents, explored potential migration issues and their solutions, and outlined how to reduce deployment size by using jlink. 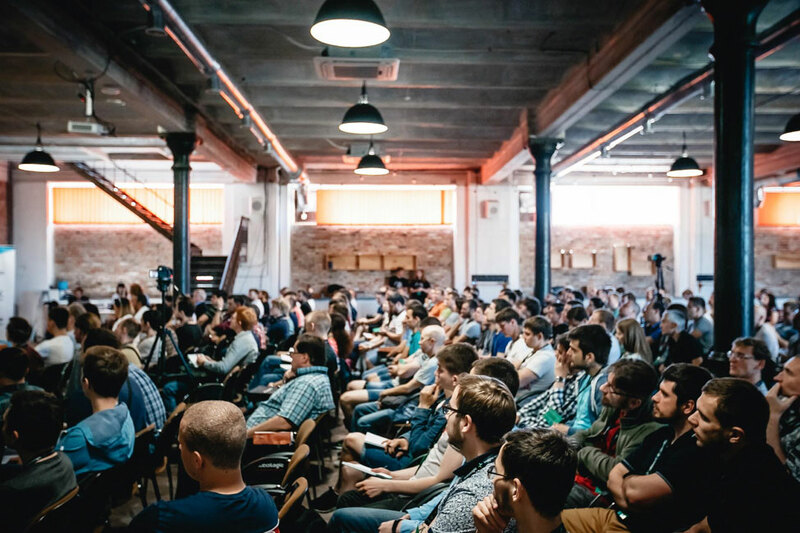 We would like to thank all the participants for spending their weekend with us at the GlobalLogic Kharkiv Java conference. Be sure to follow GlobalLogic Ukraine on Facebook, Twitter, and LinkedIn for more information about upcoming events and job opportunities.